Col. Potter Cairn Rescue Network! We take in the sick, the old, the nasty... and in many cases we turn them around. BUT some will always be too old, too sick, or too vicious to make it out any other way but the Rainbow Bridge. When you take a chance on a dog most rescues would turn down.. you can't always come out happy. But you can be at peace knowing you TRIED, that if nothing else, you CARED. And that the poor soul you are saying goodbye to WAS LOVED when that may never have been true in their lives before. Once a foster has passed, the foster family may choose to bury the remains at their own home. 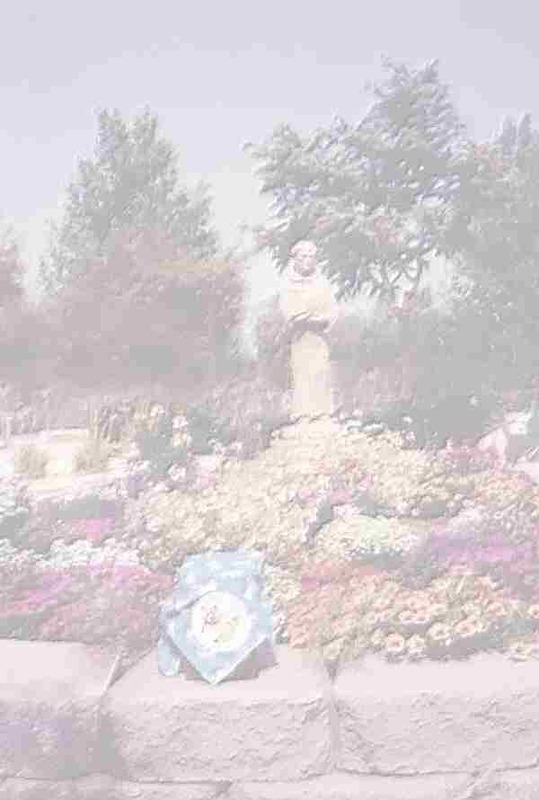 Otherwise, the foster dog's remains are cremated and their ashes are sent to be buried in the Greyfriar Cemetery in California. 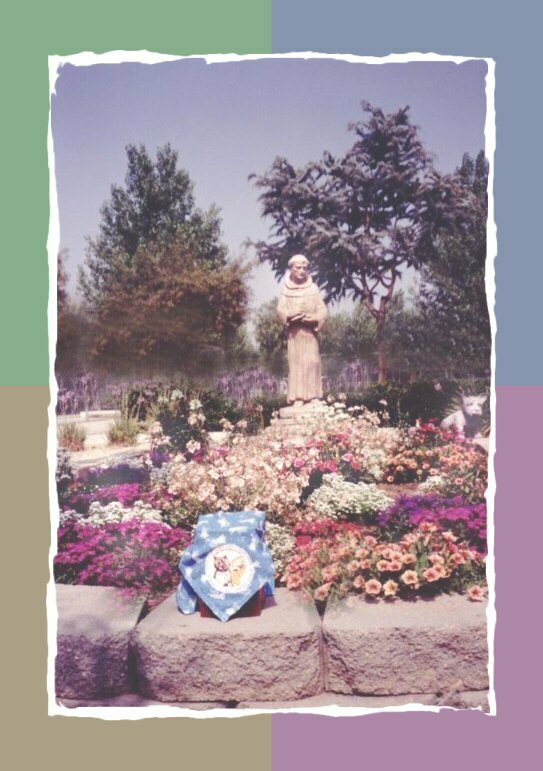 The background photo of this web page is a view of their final resting place near the statue of St. Francis at the Greyfriar Cemetery.